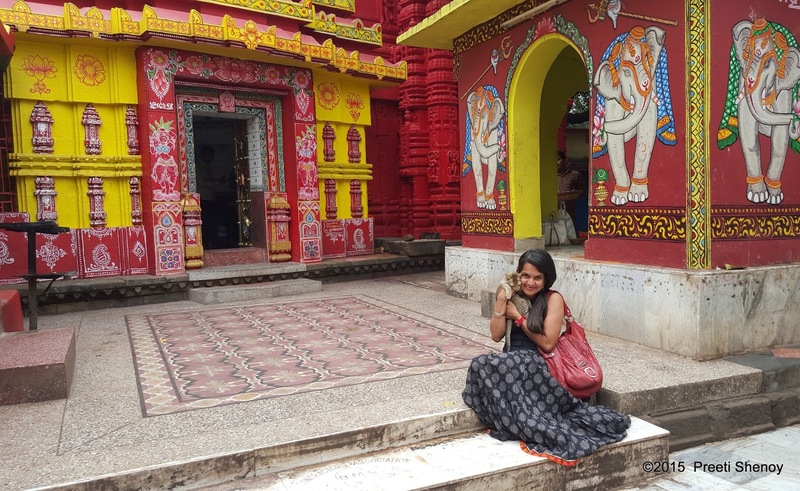 Yesterday, I told you that I would tell you that I would tell you the story of why cats are worshipped in Kedar-Gouri temple in Bhubhaneshwar and how a cat followed me around, even sleeping in my lap. Many many years ago in a small village in Orissa there lived a very pious but extremely poor Brahmin family. There was a husband, his wife and the mother-in-law who followed all the rituals and religious ceremonies. Every day before they ate their breakfast the mother-in-law would make an offering of mile, to the Goddess. Then after she performed the pooja, she would use that milk for coffee. One day the wife was very hungry as they had no food the previous night and had starved. So when she saw the milk the next morning, she couldn't resist taking half a tumbler. Out of sheer hunger she gulped it down. Then she panicked as the mother-in-law would notice the reduced quantity and be furious, as the wife had committed a sin by having the milk kept for the Goddess. She didn't know what to do. So to cover up her theft, she dipped her fingers in the milk and smeared it around the mouth of their pet cat. The mother in law saw the milk around the mouth of the cat and the reduced quantity of the milk. She was so angry that she beat up the cat. The cat felt very sad and climbed up the tree outside their house and mewed in agony, piteously. Goddess Kedar-gauri couldn't bear it. She descended on earth in disguise of an old woman and she took away the cat. She then kept the cat with her as her "vaahan". 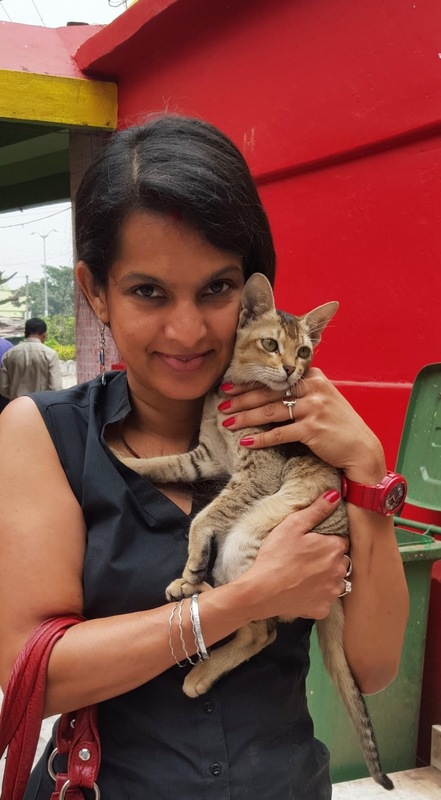 So the cat lived happily ever after with Goddess Kedar-Gauri. And that is why cats are revered and treated well and worshipped in that temple. And this is why people gift a kitten to the Goddess when their wishes are fulfilled.